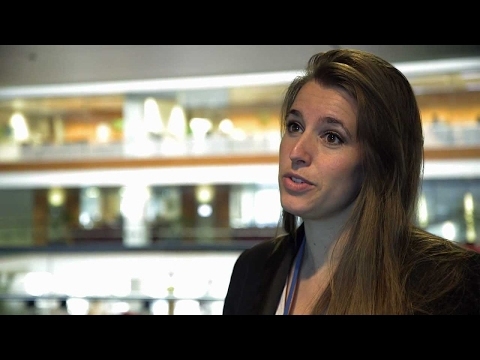 We asked Shell employees on our Graduate Programme working in different roles around the world about their experiences. Listen to what they had to say. 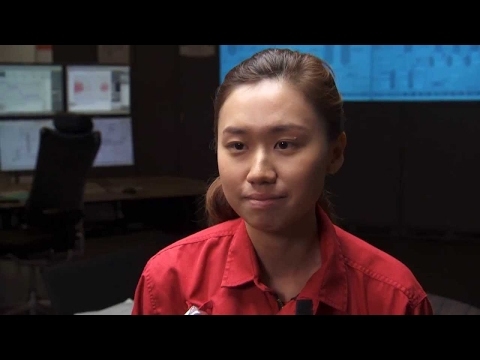 Discover how Shiau Yinn has progressed from her Assessed Internship at Shell. Discover the tasks Prashanthini has been involved in since starting on the Shell Graduate Programme as a Subsea Controls Engineer. Finlay completed a Master’s in Civil and Environmental Engineering at Imperial College London and an assessed internship with Shell. Ever wonder what working as an engineer is like outside of the classroom and into the energy industry? Hear from our Discipline Engineer technical graduate, Rina Yang as she shares her career journey, experiences in Shell and insights into her role. View of a bay with oil storage facility. Woman in red overalls walks through a work area where people are sitting at workstations with computer monitors. so you're actually exposed to a lot of different challenges. View of a monitor from over a woman’s shoulder. You're given real job challenges from the first day that you start work. Young woman in red standing in front of a storage tank. View from ground of pipes overhead. Camera pans across the refinery. As an engineer, I get to come up with solutions. Rina at a workstation, speaking. How do you make the equipment more energy efficient? How do you operate a turbine to consume less energy? and our safety practices are world-class standard. Rina outside with backdrop of storage tank. Rina and others at workstation with banks of computer monitors. everyone really come together as a team. Close ups of images on screens. Rina and work colleague at workstation. that you can share with the team, everyone is open for discussion. Rina and female colleague at workstation. Long shot or work space with many workstations. Camera pans to Rina and a male colleague talking. you can always feel free to talk to any senior leaders. They are always very open to sharing about their own personal journey. and what are the actions you can take to close these gaps. Rina and female colleague in meeting room with whiteboards behind them. and how you are doing in the company. Close up of someone writing. Worker standing amongst pipes and machinery. Rina and female colleague walking along a corridor and then going through a turnstile. and how to bring out the leader in yourself. by having a lot of community and networks in the company. Group of people sitting at a restaurant table, talking, laughing and eating. where you can get support from fellow women in Bukom. And also in Bukom, there are various facilities for the staff to use. Sometimes I play tennis with my colleagues on the tennis courts. Rina talking on cell phone/two-way. by pushing me to the limit. Rina in large room, monitors and whiteboards behind her. which allow me to gain a deeper understanding of the industry. Rina walking in safety glasses and hard hat. It's an exciting place to work here”. A strong support network will smooth your entry into working life: a supervisor, on- the- job coaches, mentors and professional experts will be there to help you succeed. Caroline Ng sought for an exciting commercial career upon graduation as a Senior Buyer in Shell's Contracting & Procurement department. Find out how she hones her commercial acumen and leadership skills through day-to-day work activities and numerous challenges. Panoramic view of shipping harbour scene. Camera zooms in slightly on huge oil reservoirs in plant site, harbour visible behind. Close-up of computer monitor showing three multi-coloured graphs. Panoramic view of plant building, many pipes and small tanks visible in structure. Office building setting, Caroline walking along passage. View of Caroline from behind as she enters an open reception area. Caroline visible through doorway to Meeting Room 6, she is seated opposite a colleague. Caroline is shown in meeting room, seated opposite and talking to a male and female colleague. She has a laptop open in front of her and there is a large TV with graphs shown on the wall to her right. View from through the doorway of the back of the two colleagues, Caroline is facing the female colleague and talking. Caroline is shown sitting in a cubicle in an open-plan office. Close-up of top of Caroline’s face from behind cubicle partition. Close-up of Caroline’s hands at laptop keyboard, graph is showing on her laptop monitor. Camera zooms in on left of Caroline who is seated in her cubicle in the open-plan office. She is looking at the laptop screen. Close-up of Caroline’s hands at her laptop. View of Caroline from behind in her open-plan office cubicle, working at her laptop. Extreme close-up of top half of Caroline’s face; she is wearing goggles and a hardhat. Caroline is shown in red overalls, hardhat, gloves and goggles as she ascends the rungs of a ladder in the plant. Close-up of laptop, showing text. Caroline is shown in a meeting room, seated opposite a male and a female colleague; she is talking to them and her laptop is open in front of her. Camera switches to left of room, showing Caroline seated opposite the same two colleagues, they turn to look at the TV screen to Caroline’s right and are laughing. Caroline is shown standing in an open-plan office cubicle; she is looking a computer monitor in front of her. View from below as we look up at petrol station open-sided roof, showing the Shell name on a bright yellow background on the side of the roof. Camera pans down to shown three pillars, each with a sign which has the writing: Shell V-Power Performance Fuels on a red background and the Shell logo in the bottom right corner. View of hand picking up a bottle of Shell Helix Ultra off a shelf, yellow and blue bottles of Shell Helix are lined up alongside the grey bottles. View of one of the signs mentioned above: red background with the words Shell V-Power Performance Fuels. Camera zooms in quickly to focus on the O of Power. Caroline is shown standing over a desk, looking at a computer monitor. A female colleague is standing next to her and a male colleague is seated at the computer. The female colleague points at the monitor. View from over Caroline and female colleague’s shoulder at the computer monitor. Caroline points at a graph shown on the screen. Camera pans from close-up of male colleague, who is now standing and smiling, to Caroline. Both are still looking down at the computer monitor. View from behind computer monitor of Caroline and a female colleague standing next to a male colleague who is seated at the computer. They are looking at the computer monitor and the female colleague is speaking and pointing to the screen. View from over shoulders of Caroline and female colleague. The seated male colleague is pointing at the computer screen and talking. View from behind computer monitor of Caroline and female colleague standing next to male colleague who is seated at the computer. They are looking at the computer monitor and the female colleague is speaking. Scene of people seated in a boardroom. A man at the head of the table is addressing a colleague on his left while the other attendees listen and look on. View from front of Caroline seated in open-plan office cubicle. She is looking at a computer monitor in front of her. A female colleague is bending over her desk speaking to her. The colleague turns to look at the computer monitor. View of boardroom. We see over a man’s shoulder an older man and a young woman seated opposite him. The woman is speaking. Caroline is shown seated in open-plan office cubicle. She is looking at the female colleague who is standing next to her, bending over her desk. They are talking and nodding to one another, and turn to both look at the computer monitor in front of them. View of boardroom. We see over a man’s shoulder his colleague seated directly next to him and who is speaking to an unseen listener. View of boardroom. The same older man and young woman from earlier are seen over a man’s shoulder. The older man is speaking to the young woman. Caroline is seen seated at a long curving desk opposite a seated male colleague. He is nodding as she speaks. View of Caroline from over shoulder of man to whom she is speaking. She is smiling slightly as she speaks. Camera swings around to show view from just behind Caroline. Male colleague is now speaking to her. Close-up of Caroline as she speaks to male colleague. Front view of Caroline jogging along a sidewalk. Camera zooms in on Caroline’s head and shoulders as she jogs past the camera. View of Caroline seated in open-plan office cubicle; she has a headset on and is talking and laughing. Close-up of Caroline’s left profile. She has a headset on and seems to be listening. View of Caroline, from just over cubicle partition, of her seated in open-plan office cubicle. She has a headset on and is talking and smiling. Office setting - view past the shoulders of two young female graduates to a smiling and female graduate standing opposite them. She is talking to an unseen person and smiling. Outdoor scene – two young female graduates and one young male graduate are seated at an outdoor table and looking at a mobile device on the table in front of one of the young women. Close-up of the young woman who has the mobile device in front of her; she is talking to the woman on her left and then looks back down at mobile device. Camera moves past a wall to show three young women seated at a long curved table. One of them is studying a laptop screen, and the other two are looking ahead of them and smiling. The camera swings around to show past the backs of the two young smiling women a large video screen on which are shown a young man and a young woman. The Shell logo is visible on a white panel behind them. Camera swings around to show the three young women from the left side. They are all looking ahead at the video screen and laughing or smiling. The woman nearest the camera is talking. Camera shows the room from behind, so we see the backs of the three young women as they face the video screen which still has the man and woman visible. Outdoor café scene. Five people of several different ethnicities are seated at a corner table, chatting and enjoying brightly-coloured drinks. Camera swings around to show two of the people, a man and a woman. The man is laughing and the woman is talking and looking across the table at an unseen person opposite her. View from the end of the table. The same woman is still talking and her companions are all laughing. The group raise and clink their glasses together and then raise the glasses to their lips to drink. One of the men is talking. Caroline is shown standing next to a female colleague in the open-plan office setting. She leans over to look at the computer screen while her colleague turns to look at her and then back at computer screen. A man is standing at a flipchart, addressing an unseen audience. A simple flowchart has been drawn onto the flipchart. Close-up of Caroline’s hands typing at laptop keyboard. Camera zooms in on Caroline, who is wearing a headset and seated in her open-plan office cubicle. She is looking at her laptop screen. Caroline standing next to the seated female colleague in the open-plan office cubicle. The colleague is looking up at Caroline who is speaking to her. Caroline is shown exiting a lift and turning left to walk down a passage. At the heart of the oil and gas industry, Tobias Chen joined Shell's graduate programme in Business Development. An exciting platform from which he can excel, feel pride in his achievements and propel is careers, all while having the flexibility to ensure that his work complements his life. Find out what makes his experience with Shell like no other. Man sitting at workstation, talking on headset. “I'm Tobias Chen, I joined Shell in 2011. The culture is very open, very friendly. Two young women in an open plan office. Men in a meeting room. One thing that keeps people here is the culture. Group of people at a meeting table. is quite surprising and very encouraging. I have never been declined walking into a VP's office or a GM's office. People in meeting room, talking. towards feedback, enquiries or even challenges. Two women talking in a cafeteria, with cups on table, looking at a document. Close up of an Individual Development Plan. that a graduate might be facing. Same two women talking at table. for someone that's fresh out of university, like me. Tobias talking in meeting room. and it has a huge array of businesses. View of bay with storage tanks in the distance. Shell V-Power signs at a filling station. Through that, you bring out a very complete perspective. It's a really a lot of opportunities that one can enter into. People in meeting room looking at presentation on projection screen. and new dimensions, new markets, new challenges to face. that we can take up in our own time. It's called Shell Open University. It broadens our horizons beyond just our job scope, our businesses. Tobias at workstation, talking and working. I think that's a very strong benefit associated with being a graduate. about what's going to happen throughout the day. Tobias working at a computer. Group of people conducting a teleconference. People talking and laughing at a restaurant. Lunchtime is typically spent with the team or with friends. Tobias at his workstation working on computer. After lunch, we can literally focus on our work. the analysis that we have to do. the winning of a very important contract. ...that you will one day become a leader of this Fortune 100 company." Womans walking into light open office reception area. City scape at night with coloured lights at night. the opportunity to make a difference for the world's energy future. Shell filling station at night. City scene lit up at night showing traffic. and with economic growth comes an ever-increasing need for energy. People at workstations with banks of monitors. Group of people walking along a corridor. I think that's something that really defines a Shell graduate”. Title: 23 Shell Graduate Programme: Who knows where the journey might take you? 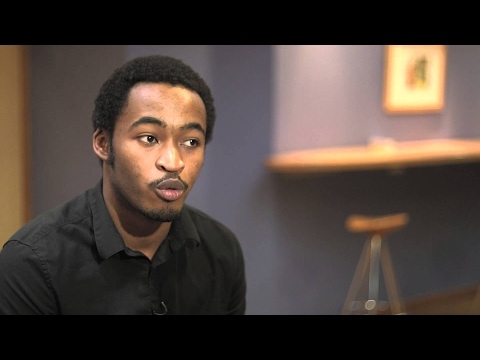 The future is an open book for these graduates who talk about their experiences in the Shell Graduate Programme. A culture of continuous learning helps you discover your strengths and develop your skills. As your knowledge builds, so does the possibility to experience more, such as working alongside intelligent, motivated people who have time to invest in you and your professional development. Everyone is listened to, from the CEO to the graduate. You are encouraged to go out there, see what you'd like to learn and why. It's just a continuous journey of learning. for new hires to develop yourself. and what your qualities are. and one of the best in the industry. so you can choose and pick a bit, what courses you want to do. really complement your development as a professional. and I show him what my progress is. They want to let you discover what's right for you in your role. They're not going to say, "You're going to do this role." They give you the opportunity to look at different roles and see where you fit in. who can secure the support and resources for you. and the people and my colleagues have helped me through that. that also really want you to learn and develop as a person. to help you really be the best that you can be. Title: 24 Shell Graduate Programme: What are you doing after work? 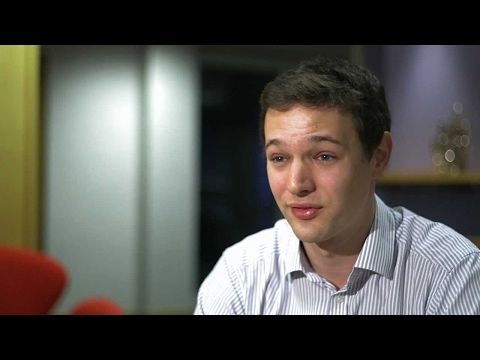 Shell is a place where you're part of the team, not just a new joiner in the corner, as several people in the Shell Graduate Programme explain. It's a community, young and friendly, where you soon get to know everyone, especially as the social side of work is just as important as putting in the hours. Join Shell if you want to get more out of your working life than you ever imagined possible. and it creates a very solid and strong community. You've almost got this campus feeling. and Shell has a very good social environment. that will help you out in the rest of your career. whether they be light-hearted or a development opportunity. There's a Shell Women's Network, an Experienced Higher Network. The Asian Network, the African Network, and so forth. to socialise and network together. I found a lot of invitations in my inbox. Payday pint or bowling, sailing. They've got a salsa event coming up. There are Christmas parties, barbecues, summer balls. A senior engagement, lunch and learn with the leaders. as well as it just being the place where you work, are immense.